Legal issues related to augmented reality IP ownership, licensing, liability and control were discussed by a panel of legal experts during an AWE ‘Law and ARder’ session moderated by ETC@USC’s Philip Lelyveld. Kimberly Culp (Venable LLP) discussed what companies need to think about when creating AR IP. Michael Leventhal (Holmes Weinberg PC) covered what you should ask for when licensing AR IP. Alexia Bedat and Ed Klaris (Klaris Law) addressed the risks associated with delivering AR experiences in public spaces. And Brian Wassom (Warner Norcross & Judd), who litigated the Candy Lab v. Milwaukee case, discussed whether a digital overlay impacts the original work at all, as well as AR as free speech. The May 30th panel discussed the question and consequences of whether you own the virtual space that overlays private real estate that you own. 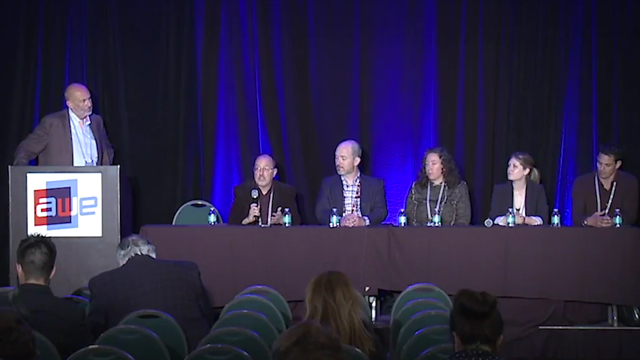 The panel closed with an update on U.S. federal and state oversight and regulatory activity in the XR space. You can watch AWE’s 36-minute video of the panel online.